Controversy and drama has once again struck the esoteric world of eSports, with Fnatic ruffling more than its fair share of feathers at the DreamHack Winter quarter finals. Suffering a nine-round deficit, the Swedish team wasn’t looking so hot, until they pulled a rabbit out of their hat. 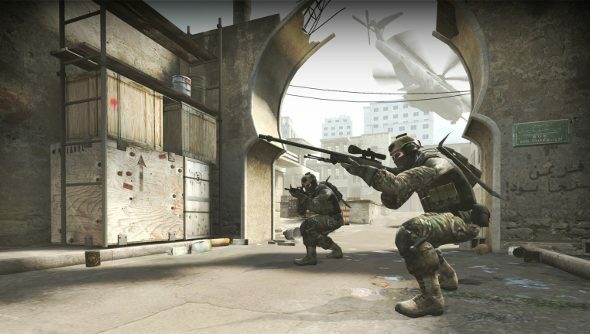 They used a boost – where players jump on another player’s head to reach a high up spot – to reach a mostly unknown map position in Overpass that gave them a huge advantage over the opposing team LDLC. They used the vast amount of extra knowledge the position gave them to take victory from LDLC. There’s just one problem, though: it might be illegal. Update:Fnatic have officially given a forfeit for the match agaisnt LDLC, who will play against Na’Vi later today in the semi final. Here is the first time the boost was used. And here’s Fnatic using it against the opposition. The huge comeback has been somewhat marred by the fact that the tactic might not be legal. Boosting is an accepted tactic, but the issue in Overpass was that the position it allowed Fnatic to reach gave them a view of most of the map, giving them all the information they needed to win the match. Critics of the move on Reddit and elsewhere are crying foul, saying it gave them an unfair advantage. At the moment, it’s not clear if the tactic is an illegal exploit, and DreamHack officials are investigating it. A ruling on the boost will be made after the Na’Vi vs Dignitas game.